FMCSRs are complex; this book makes them easier to understand. Take your drivers' training to the next level by helping them understand what they can do to meet DOT regulations. 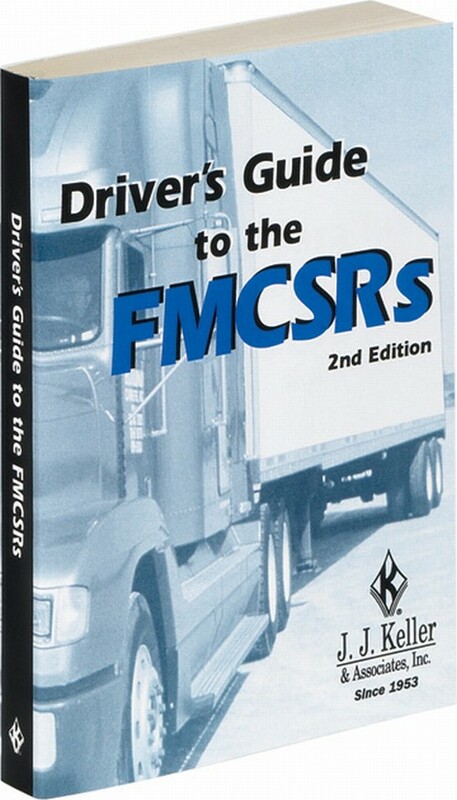 The Driver's Guide To The FMCSRs English Version 744/16-ORS explains the regulations in easy-to-understand terms so drivers will know exactly what's expected of them. They'll get clear, concise compliance guidance for parts 40, 382, 383, 391, 392, and 395-397. Perfect for drivers in the transportation and construction industries, this handy reference also includes a driver's receipt page that can be kept in each driver's qualification file. Softbound, 4" x 6", approximately 335 pages.